A small, friendly group of like-minded people meet on Tuesday mornings and Wednesday afternoons to enjoy creating works of art. Some have years of experience but many are beginners. Why not come along and join in. Bring along your media of choice, be it watercolour, acrylics, oils, or simply pencil. Pick a subject you want to paint or draw. A large library of images is available if you need some inspiration. And make a start. It really is that simple. "But I can't draw!" you say. That's not a problem, you will be taught how to observe and draw. Within a short space of time you will be creating your own first masterpiece! Each group has a maximum of 14 students which guarantees you will receive individual attention and enable you to make rapid progress. In the summer an exhibition of work is put on at a local art shop. Students, friends and family are invited to the private view - convivial evening chatting over a glass or two of wine and contemplating the year's successes. Twice a year the Tuesday and Wednesday groups get together for an informal "soirée". Time to cement friendships over a three-course meal in comfy private surroundings. Give your loved one the gift of of art. 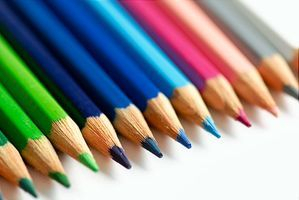 Gift vouchers can be purchased for one or more art lessons. Simply email your request to me indicating how many lessons you wish to buy. New students: You don't need to book but I would appreciate a call to know you are coming. Tuesday classes are two hours long within this time period. Come at the time that suits you. Pay as you go, or pay in advance, the choice is yours. Buy five classes and get the sixth one FREE! Unless otherwise stated, all images are the copyright of Ken Murray and may not be reproduced without his express permission.